Candle Light Funeral Home by Craig Witzke is located in the recently renovated Historic Candle Light Inn. 1835 Frederick Rd. (at Rolling Road). The Candle Light has a long history in the Catonsville community. 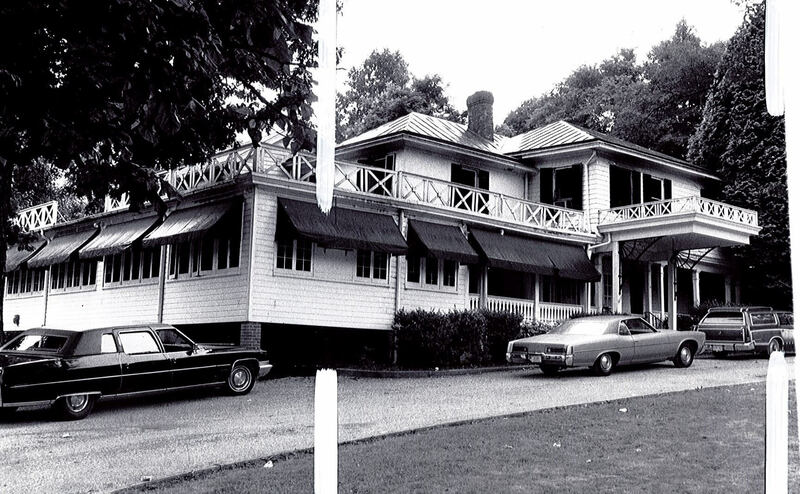 The original house, surrounded by rolling farmland and known as Five Oaks Estate, was built in the mid 1800’s. The house changed hands three times before the mid 1920’s when the Roger’s family began the pleasant tradition of offering afternoon tea and light fare in the parlors and on the gracious porch which once wrapped around the north and east side of the house. 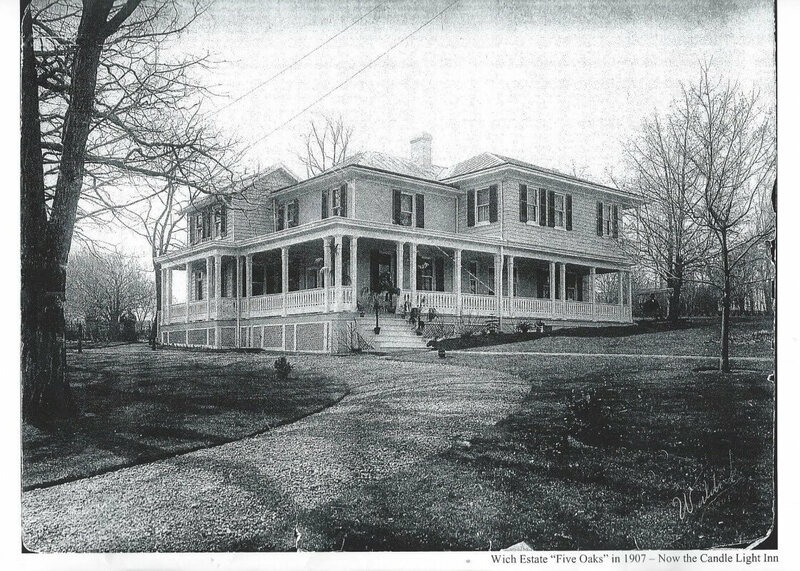 Ten or twelve cottages were built behind the house to accommodate people traveling between Baltimore and Washington and the Five Oaks Estate became the Candle Light Lodge. In the early 1940’s the house was purchased by Anna May Calk who served a beautiful spread of traditional Maryland food for over 20 years. Anna May retired in the early 1960’s and sold the lodge to Charles and Ginny Dukehart, who renamed the inn and maintained it for close to 15 years, until an electrical fire destroyed the porch and the adjoining dining room. 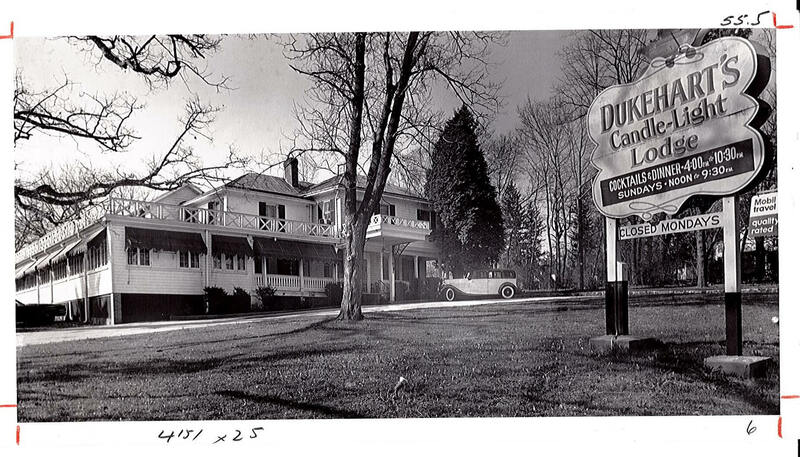 After the fire the Dukeharts sold the inn and it remained vacant for nearly one year until a group of local investors rebuilt the damaged portions of the building. The Lombardini family, purchased the inn in 1979 and continued to provide the fine food until January 2014. Today, the Witzke Family has restored the building to it's original grandeur.